But by that time … layer upon layer of stains, bacteria, and mineral deposits have built-up into a mess that’s almost impossible to clean on your own. Scrubbing won’t do it… bleach won’t do it. It used to be that tile floors, showers, and countertops had to be replaced once they got this bad. 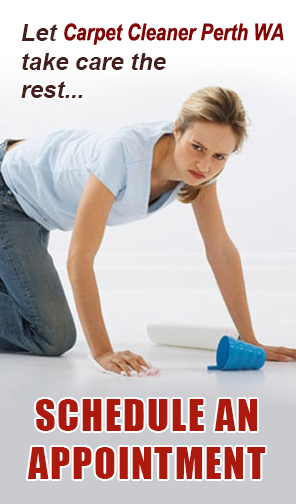 But today you have a faster and more economical tile cleaning option. This proprietary cleaning system can restore soiled tile, concrete, natural stone, and grout to like-new brilliance in a single service visit. Don’t wait for your hard surfaces to look deeply soiled and dirty, especially in your living areas, bathrooms and on kitchen counter tops. Even if your hard surfaces still looks clean, they’ll probably contain unseen, bacteria, mold, and filth that can affect brightness and sanitation. Do you remember what your tile floors, bathroom tile, and tile counter tops looked like when they were new … when the grout was really clean and bright? Tired of cleaning on your hands and knees and not getting the results you want? Too much hard work … and not enough satisfaction? Home owners, realtors, and tile contractors all agree on one thing. 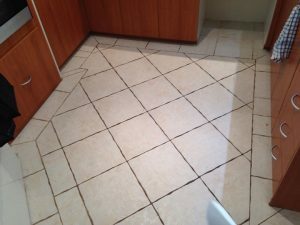 don’t look clean and sharp – the tile just never looks clean! 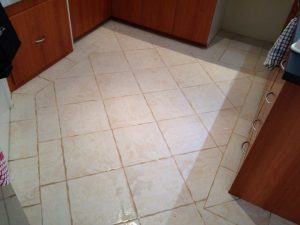 Our tile and grout POWER Cleaning System makes your tile look new again. Grout lines look sharp and are ready to be resealed – extending the life of your floors, and saving you money from needless renovations or tile replacement. This 20 year old kitchen tile countertop was Power Cleaned and looks brand new. saving the home owner of $500 in renovation expenses. We can even use the Tile Power Cleaning System to clean your cement or exterior walkways. and grout for residential and commercial installations. Unfortunately microscopic pores allow dirt and other contaminates to become trapped below the surface, where they cannot be removed with regular mopping. The dirt continues to build up inside those spores, leaving tile and grout looking dark, dirty, and discolored. Even hand scrubbing with harsh cleaners can be ineffective, not to mention, time consuming and extremely labor intensive. Your floor will be vacuumed to remove loose debris. We will protect baseboards, cabinets, walls, and any furniture in the work area.